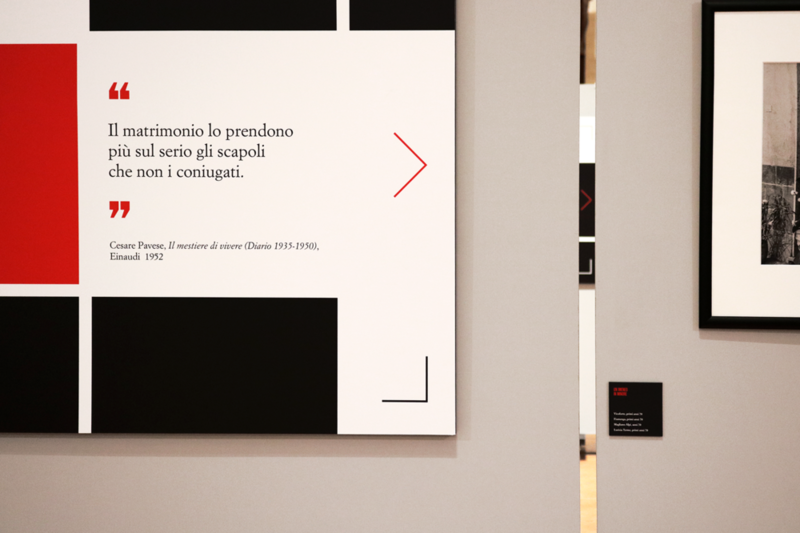 The photographic exhibition is about Michele Pellegrino's work and has the particularity of being introduced by Cesare Pavese quotes. 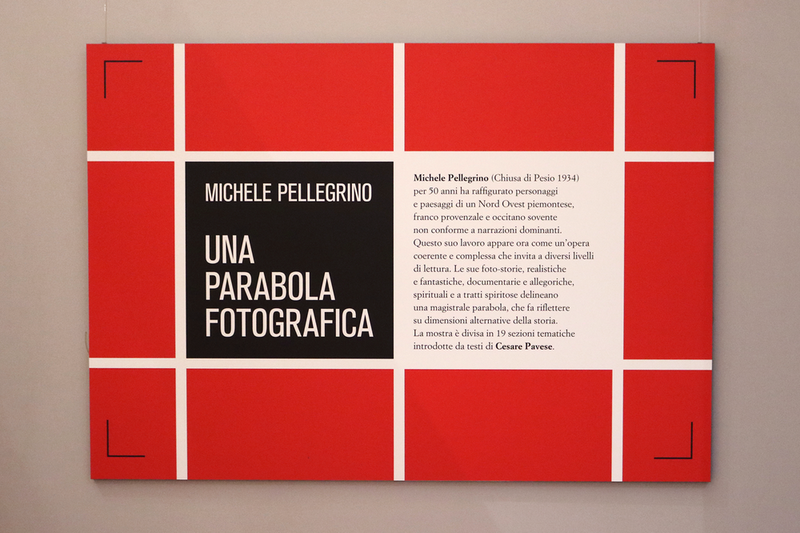 These texts are focused on a symbolic vision of human existence, common theme in Pellegrino's work. 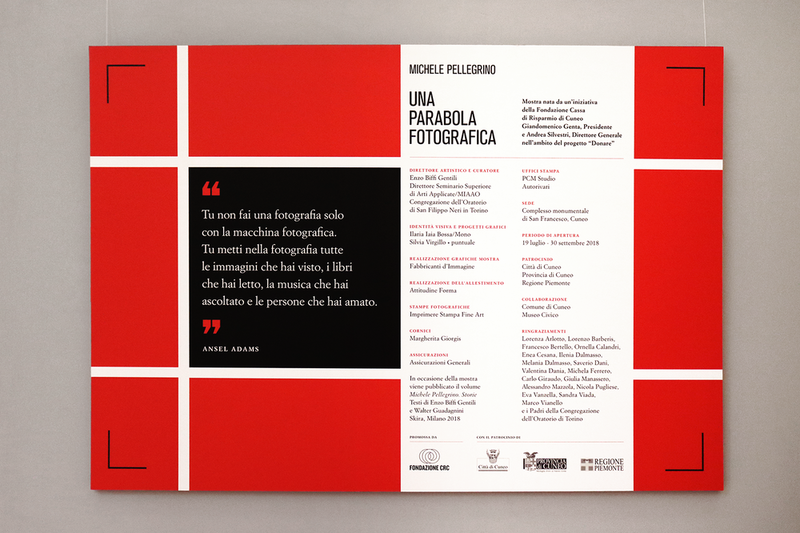 The graphic project focuses on this literary juxtapposition and takes visual inspiration from Italian editorial masterpieces: Bruno Munari squares (designed for Einaudi, Pavese’s publisher) and Simoncini Garamond are rearranged in a grid that seems both an editorial layout and a photographic frame. 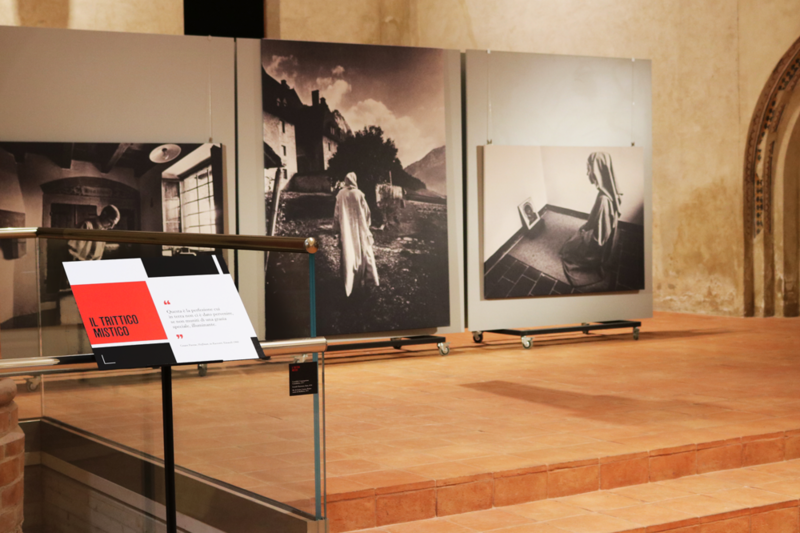 The project highlights the thematic sections, giving visual relevance to the literary quotes that introduce the pictures.